This is a lightweight cart bag that has been manufactured to ensure that your golf equipment is dry and protected from the harsh conditions. The bag is durable nylon constructed so this makes the bag lightweight so it wont be a hassle to carry round the course. It uses cutting edge and thermo sealed pockets and seams to keep your golf equipment protected from the harsh weather conditions. 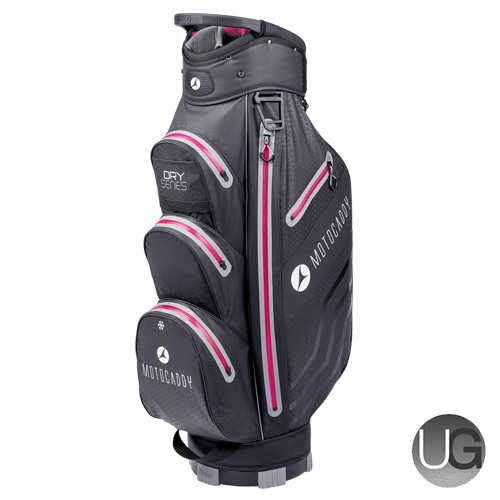 The bag also features an oversized putter compartment to accommodate for oversized putter grips and also comes with a 14-way top organiser with full length dividers. 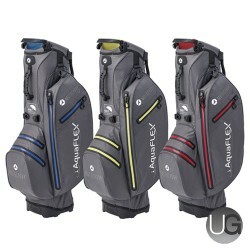 The bag also includes 7 spacious pockets with YKK zips for all your accessories and essentials for when you play golf.